The book includes in-depth coverage of the lightly-documented LayOut toolset and video tutorials on more advanced methods. 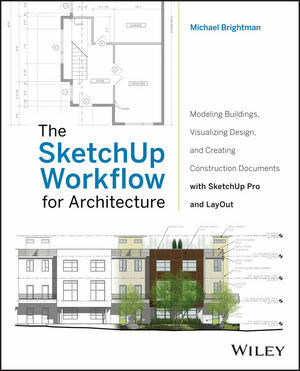 The SketchUp Workflow for Architecture is a valuable addition to your design toolkit. MICHAEL BRIGHTMAN is President and Lead Instructor of Bright Ideas Consultants, a SketchUp authorized training center, where he teaches architecture, construction, engineering, and design firms how to leverage SketchUp 3D models in their workflows. A frequent teacher and presenter on the topic, Mike also designs and creates dynamic 3D presentations and architectural drawings for a variety of clients and projects.